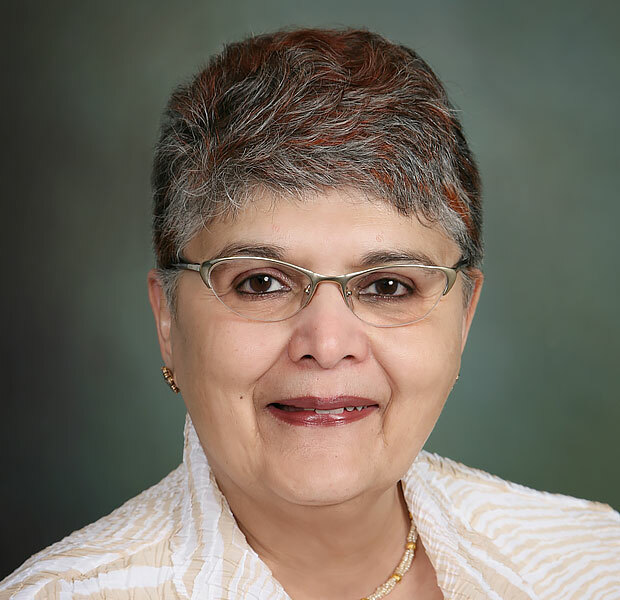 Manjushree (Manju) Badlani is a senior human resources and administrative professional with over thirty years of international experience. Her expertise is in aligning HR to the strategic direction of the organization. Manju has a Master’s in Personnel Management and Industrial Relations and is certified as a Senior Human Resources Professional (SPHR) since 2003. She started her career in India in 1978 in the country’s largest public sector enterprise where the focus of her work was on forecasting staffing needs and staff development. From there she moved to the private sector working for an international hotel chain and teaching at the company’s hotel management training school. Manju’s work here encompassed employee relations, compensation and policy development. She worked with highly skilled professionals to unskilled labor, with both non union and unionized staff. Manju moved to the United States in 1984 and here she transitioned from the corporate to the non profit sector. Her first assignment was domestic with the St. Jude Children’s Research Hospital where she rapidly learned US employment laws and to manage a part time work force. In 1988, she joined the International Center for Research on Women (ICRW) here she grew the human resources role from personnel functions to strategic HR and supported the organization’s growth in staff and international locations. Manju also managed an international fellows program, bringing development researchers and practitioners from resource poor settings for a sabbatical to Washington, DC, fostering an exchange of learning between professionals working across the globe. Manju is currently Chief HR and Administrative Officer with Jhpiego, an affiliate of John’s Hopkins University that works with health care providers around the world with an international workforce of over a thousand employees. She leads the organization in the strategic development and implementation of global human resources, field operations, facilities, security, materials and travel management functions. As member of the senior management team and reporting to the COO, she exercises a prominent role in influencing organizational objectives, strategy, and operations with respect to the utilization of human resources for Jhpiego’s headquarters and 25 country locations. Manju is on the board of directors of the Human Resources Certification Institute and InsideNGO. She is a member of the Society of Human Resources Management (SHRM) and served on SHRM’s Global Special Expertise Panel for 3 years. Manju is a frequent speaker at international HR conferences. In 2010, she received the international Pride of the HR Profession award at the World Human Resources Development Congress in Mumbai, India. In 2013, she received the InsideNGO Operational Excellence in HR award for her strategic contribution to HR in Jhpiego and in the community of international NGOs.